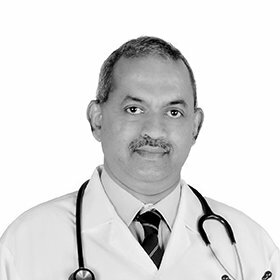 Dr. Mathew Vivek obtained his MBBS, Post-Graduate Diploma and MS (Otorhinolaryngology) from the prestigious Madras Medical College Chennai ,India. He subsequently worked as a lecturer in ENT at the Aleppy Medical College in Kerala for a period of 6 years. He has 29 years of experience in the field, 15 years in the UAE. Dr. Mathew Vivek’s services offered are Endoscopy of the Nose, Throat, Ear, hearing assessment, vertigo management, migraine and allergy treatment. Also, minor outpatient and surgical procedures, screening for Head & Neck cancer.